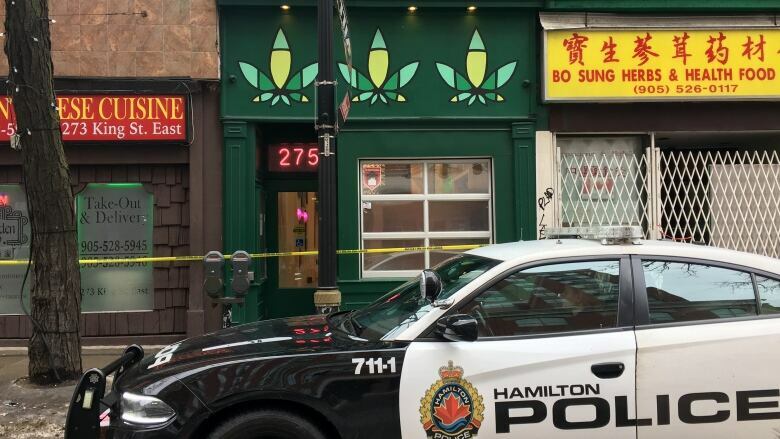 Hamilton police say a male victim was sent to hospital following a shooting during a robbery at an illegal cannabis dispensary Saturday evening. Police say the shooting occurred shortly before 9 p.m. at a dispensary at 275 King St. E., near King Street and Wellington Street North. One injured male was found at the scene and taken to the hospital. Preliminary investigations indicate that this incident was a robbery, police say. Police are appealing to the public for any witnesses and are canvassing the area for video surveillance footage.